What are your reasons for using Tonido? Let us know and have a chance at winning a free TonidoPlug, details below. I was thinking for a while on how to express the value of Tonido to other users. Finally, I decided to write a blog on stressing the importance of running Tonido 24×7 on my computer, because that’s where the real potential of Tonido lies. Some might not be willing to leave the computers on 24×7 mainly because power usage, but even for them Tonido running on TonidoPlug is a good alternative. Actually this should be the top most reason why I run Tonido 24×7. But decided to rank it at the bottom because this makes all other reasons possible. When Tonido is running, I get a unique URL such as tuxan.tonidoid.com to my computer. I can use this URL to access my computer from anywhere. I don’t need to worry about port forwarding or any changes to the router. Since the Tonido instance is secured with a login id and password, it is like having my own private website controlling my computer. Web based torrent client is a feature that is built into Tonido. It is available for all platforms. With Tonido Torrent I can connect to my home computer any time and start downloading torrents. This gets even better with the firefox addon, which is free. This addon allows me to remotely start a torrent download on my home computer, when I choose it on my laptop away from home. Tonido comes with a built-in web based explorer. I can use this to navigate through my disks, copy/rename/delete my files/directories and even share a particular file/directory to others with one-click. I can do all this from anywhere. Tonido comes with a built-in backup utility.This feature lets me backup my files/folders to another computer located within my home or to my office computer. I personally have setup automatic backup of my laptop files to my home computer every week. 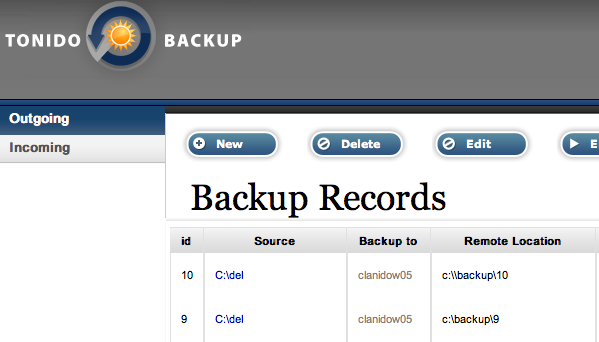 This backup will take place automatically whether I have my laptop at home or I am traveling with my laptop. All I need is a network connection. Tonido has a built-in webshare feature. This feature allows me to search and download/upload files from/to my home computer. I can setup accounts for my parents to download files from my computer. Tonido also has a small utility for uploading files to my home computer. I can just drag/drop files to it and it takes care of uploading. This is really an useful feature if I have to upload large number of files. Tonido allows to share my photos in an album format to my friends and family. I can host these photos with or without password. I need not upload my personal photos anywhere and I have my own personal website to host the snaps I have. Tonido also allows to listen to my music collection at home from my office. All I need to do is connect to my Tonido music jukebox and play any songs from my collection, everything happens from within a browser. I can even give access for my music collection to my friends and family. 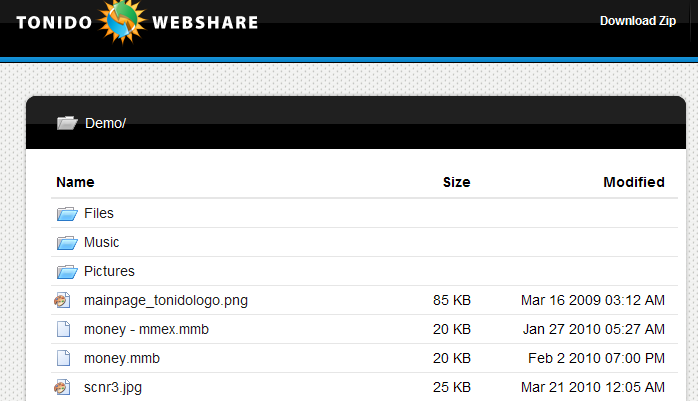 Tonido Webshare makes sharing files/folder simpler and private. Instead of uploading my files into external servers, I create URLs for files and share the URLs with my friends. I don’t spend anytime in attaching large files into an email or uploading it to some external websites. 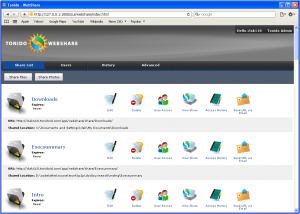 Moreover, Webshare also gives information on who accessed my shared files and when they accessed it. MoneyManager EX (MMEX) was recently made available on Tonido. Now I can manage my finances completely from my own personal website running on my home computer, instead of storing my details on third party websites. This is the most important reason from me to keep my Tonido running all day. I keep a private journal of things I do everyday. I can also maintain a typical blog website, where I write blogs and post it for public view. Want to win a free TonidoPlug? What are your most compelling and creative reasons for using Tonido or TonidoPlug? I mostly use it because I feel like my data is safe and it’s MINE, yet I can share it. I don’t have to worry about 3rd party services losing my data, stealing it, or shutting down. I also like that the developers are passionate about their product. They offer their platform for free in addition to selling innovative hardware such as the TonidoPlug (which I own). Security, Innovation, and Peace of Mind – those are my reasons for running Tonido. @Tuxan: Is that a new default theme for Thots? I really like it. this is the best concept since there is the internet/web: private clouds, which are able to communicate with the greater cloud and/or each other, however, completely under the supervision and control of the user, especially when using ssl and considering you can use your own relay/name service. 1) Best solution for Torrents. 2) Excellent Money Mgr program. 3) Apps are available from ANYWHERE on the internet. You don’t need a reason to like something… I just like my TonidoPlug! Well, I use mainly Thots, Webshare, Workspace and Jukebox. I am away from home a lot, so it is very convenient to have Tonido as a central, always accessable, trustworthy friend who keeps all my data together, like a personal assistant. The feature I would place number 1 is not available though, it is a mailserver with multiple account support (which retrieves mail from several accounts via pop and makes them available via imap and webmail). Maybe one day this will come as well and make my Tonido even better. I Have all my files everywhere at every hour. This is very cool. Thanks Tonido! I want to run cgi scripts on my website even though my isp doesn’t provide them. I also have several perl scripts I run locally that I’d like to be able to run when I’m away from home. Because I don’t feel bad about having to run a bigger, more power-hungry computer at home, and can just use a TonidoPlug that takes close to 0 electricity! I have always wanted to setup a server to host my own website – for a novice, the TonidoPlug seems like the easiest way to do this. And as a bonus, it consumes very little power! Apart from all the cool and useful apps, what I like most about Tonido is that it’s my very own cloud. I don’t need to rely on anyone to run it for me and all my files are safely tucked in my computer. Not on some company’s servers which may or may not shut down at any point in the future. The main reason i run my TonidoPlug 24/7 is because I can access my client’s invoices & contracts via the search function from my mobile device no matter where I am! We have a group that is split up and living in different Latin American countries that needs access to the same pool of documents and photos. They need to have secure access to those docs and photos, and be able to update them from everywhere. I use it because it fits into my lifestyle. Always on, always accessible, always productive and completely under my control. My top reasons for using Tonido is that it allows me and my family to share our photos around the world. Allowing my relatives out of state or country to be updated easily and quickly with new photos of my family and post about them in my blog. And for my family to share with me. Tonido combines the advantages of cloud with the ability to control their own data directly. The very limited consumption allows to run it 24 / 7 and, therefore, to access applications from any place and at any time. 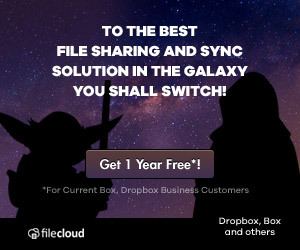 Personally I will use it to manage my tasks and to share my files. I see a great future for solutions like Tonido. And this thing is just way cooler anyway, having one would be awesome. I would use it to keep my small business’s pc’s backed up and to have a shared folder for us. I would also use it to coordinate plans. I love my tonidoplug. access from anywhere. My reason for running Tonido 24×7 is because the TonidoPlug allows me to have a robust personal cloud available at an extremely low energy footprint. I love using Thots on a regular basis (for bookmarks and other interesting tidbits… it’s a quick and easy online notebook, which I love). I enjoy the ability to manage torrents remotely, it is a godsend for me when I’m on my college campus behind firewalls and such. Money is a great recent addition, helping me manage my finances when I don’t always have my checkbook available. And workspace is indispensible to me–I use it to organize my life! I jot down assignments in class into workspace, and use it for time management. Tonido is a wonderful product, and I highly recommend it. A Tonido would allow our nonprofit team of champions (volunteers, staff, Board, advisory, consultants) to easily share key information and collaborate on JUST the project documents they need to be involved with. We use WinLive to synchronize docs on at least six different computers which is a lot of waste and over redundancy. But we’re not in a place to be setting up and maintaining blade servers. The Tonido brings that power but with the (needed) simplicity of an appliance. Our kids and families would love being able to view photos of the most recent camp or event/gathering. And our team would love not having to edit and upload to our web site or an external sharing site. I use to upload and download files, easy as ABC. I can share all my baby’s pictures easily with his grandparents in Japan. I don’t even have to think about it. 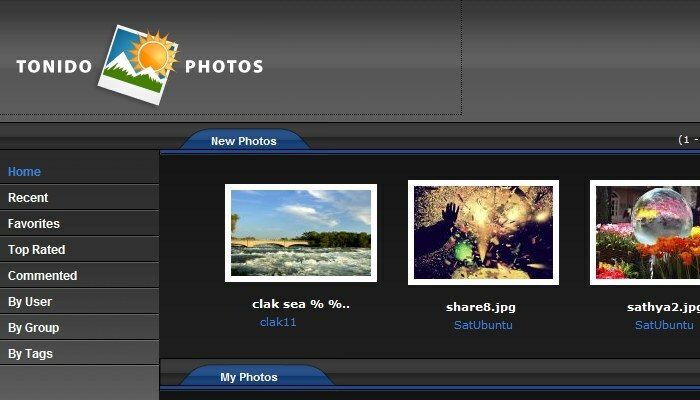 Share the top level photo directory and they can see his life unfold. tonido is the greenest way to run a home server and pull all your pictures, movies, projects and even homework in one place. with tonido, you’re always plugged in. My friends and I are avid listeners of audiobooks and lecture series. Each of us has a large collection that we share and swap. Tonido is a perfect platform for us to backup our collections and still have access to them while on the road. It also facilitates browsing and sharing of each others’ collections. The Tonido system provides a simple, responsive interface for its many modules. It makes it easy to create a network with friends and family, knowing that the privacy of your data is controlled by you.